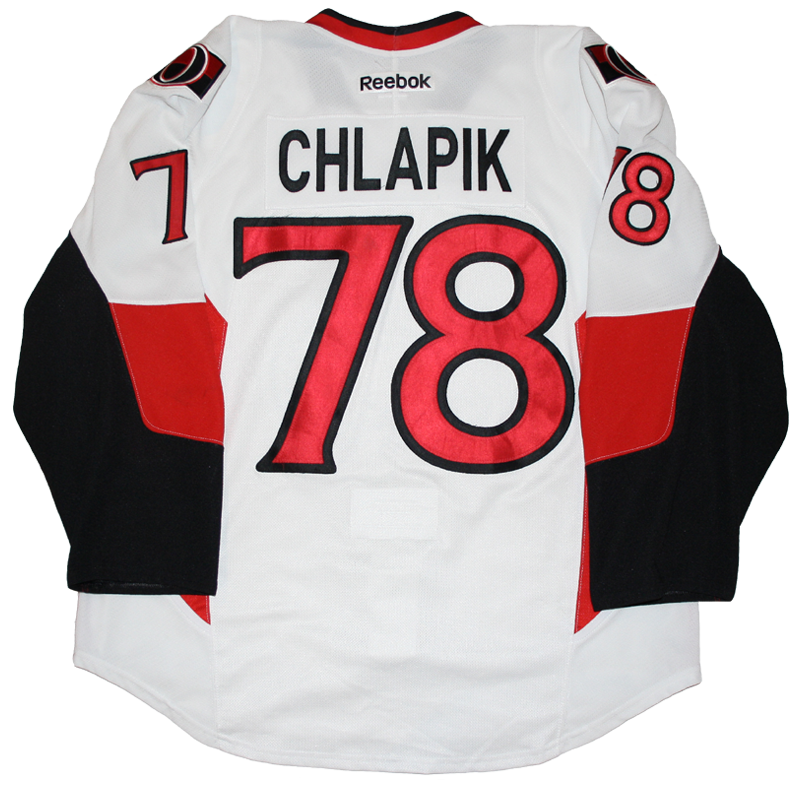 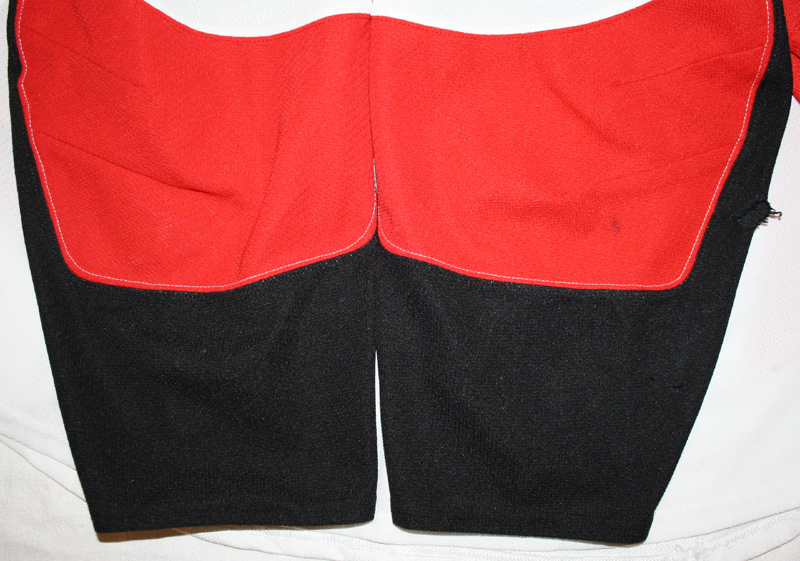 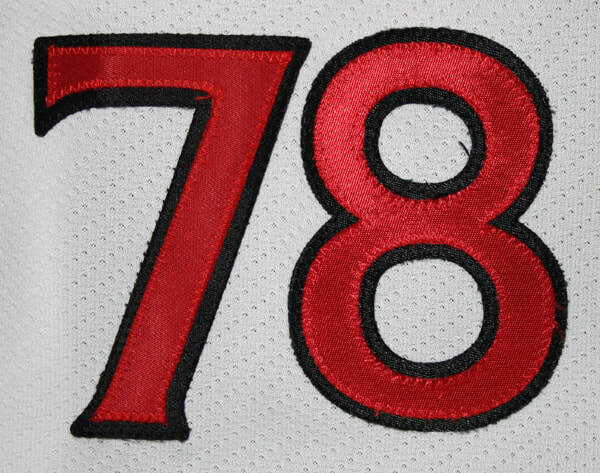 This jersey was worn by Filip Chlapik of the Ottawa Senators during the 2015-16 preseason. 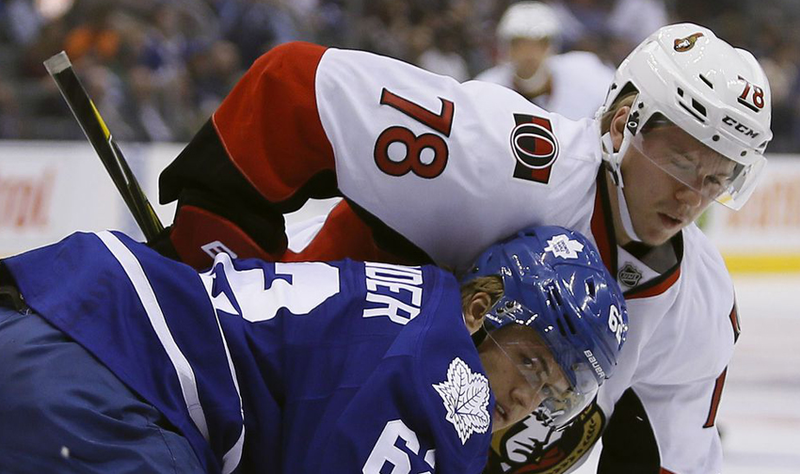 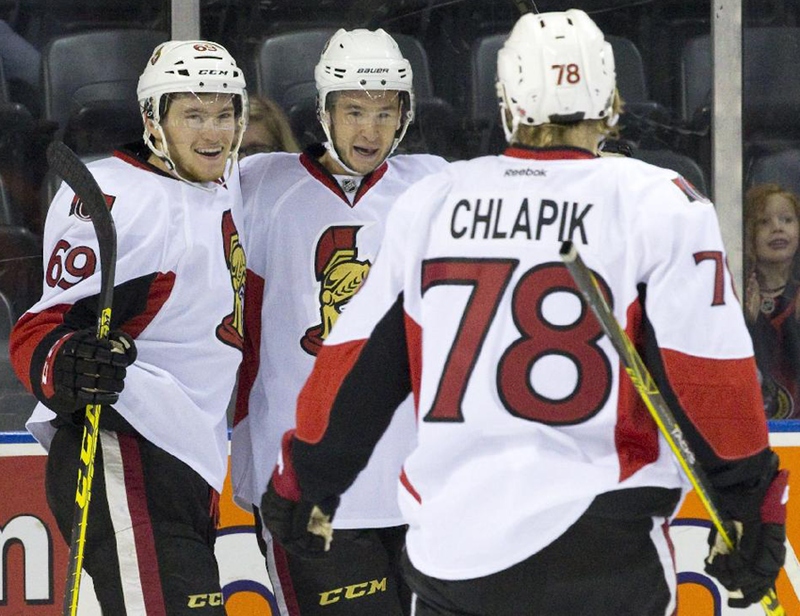 Chlapik played in one game during the 2015-16 preseason against Toronto on September 21, 2015. 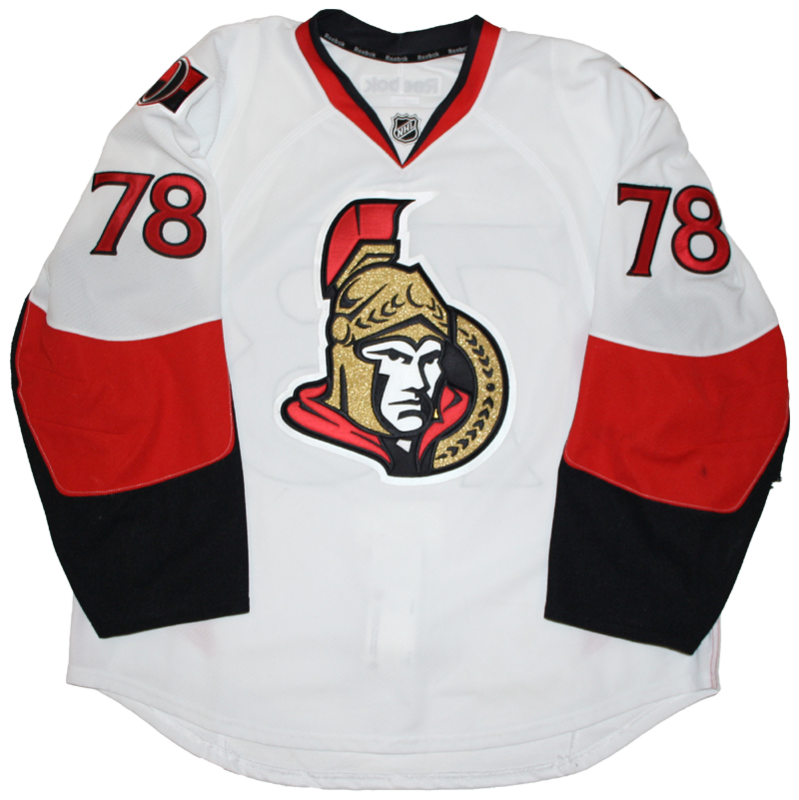 He subsequently played in one game during the 2016-17 preseason on September 27, 2016 versus Buffalo. 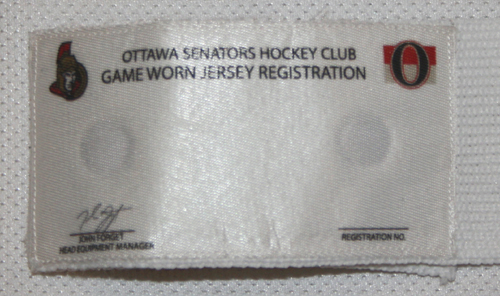 This jersey was also worn for 6 games during the Senators 2015 and 2016 Rookie Tournaments against Toronto, Montreal and Pittsburgh.